Ban Heng @ Orchard Central is a new branch located at Orchard Central rooftop in the heart of Orchard Road. 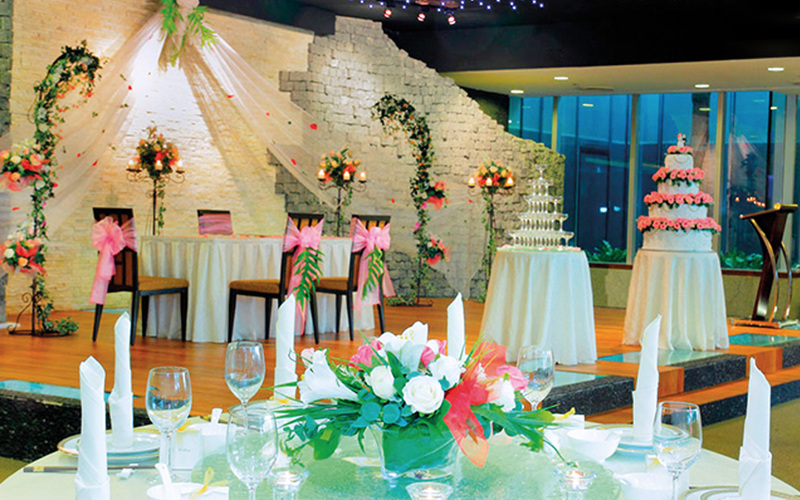 This restaurant sports a built-in stage with ceiling spotlights, a natural rock formation as background and is surrounded by a koi fish pond. It is specially designed for holding wedding and D&D functions. The surrounding roof-top patio where our restaurant stands, commands an impressive view stretching from Downtown Orchard to Fort Canning Hill, is perfect for a cocktail reception. Ban Heng @ Orchard Central can create the special atmosphere of an urban garden no hotel can match.